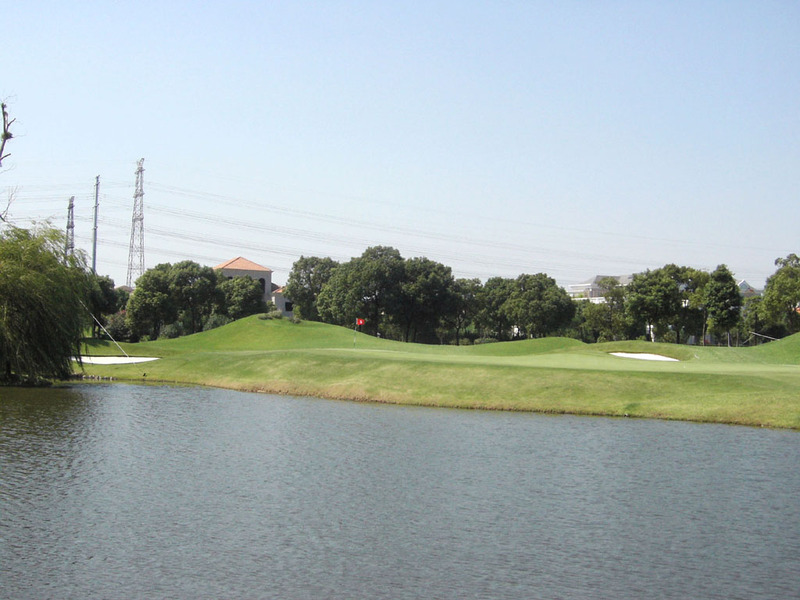 This is a challenging course on a flat terrain with strategically placed lakes, creeks and bunkers. Players will enjoy seeing miniatures of notable sights in Japan and China such as Mt. 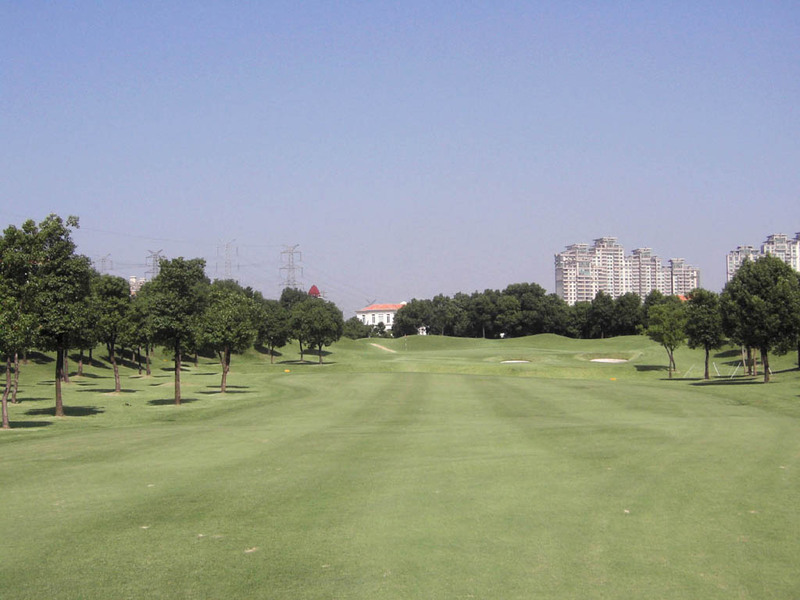 Fuji between the 8th and 18th hole, Great Wall of China crossing the 4th hole and Yangtze River running along the left side of the 9th hole. 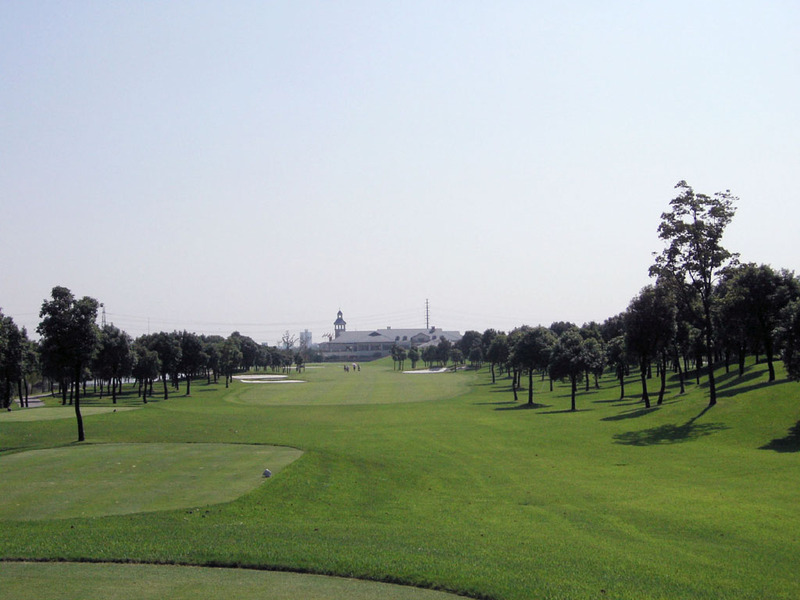 A PGA European Tournament, the BMW Open has been held here every year. 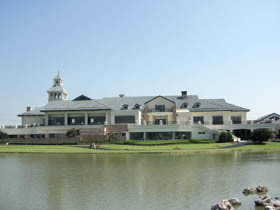 Luxury homes and modern buildings surround the course now. 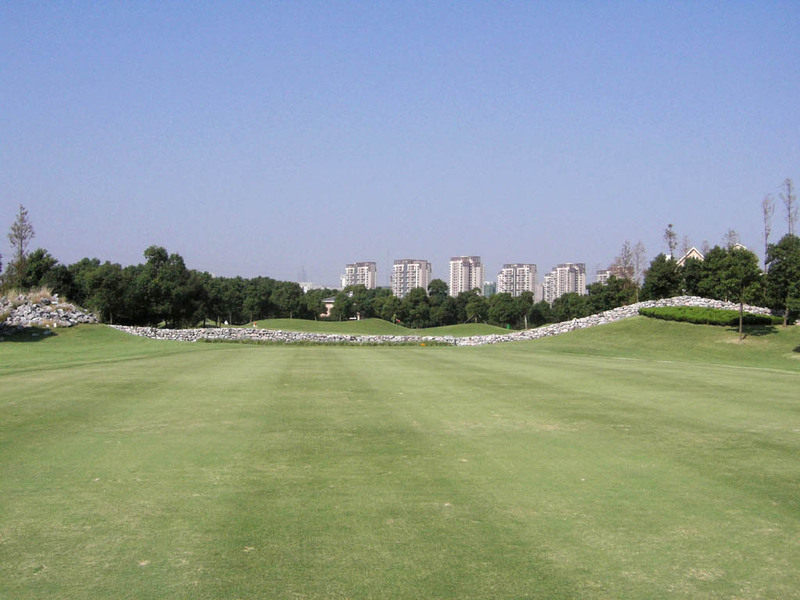 When it opened in 1997, there was nothing but green and houses sparsely surrounding the course. 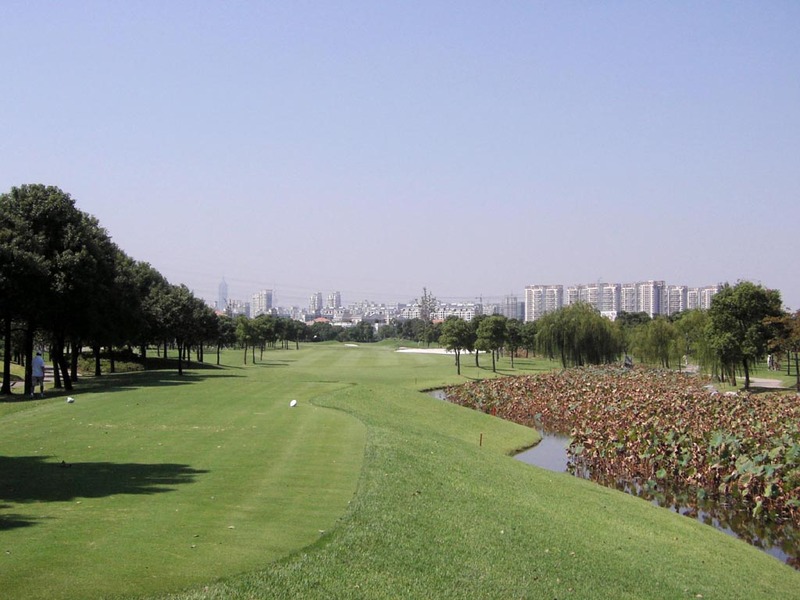 The pace of development in Shanghai has been spectacular the past 8 years. New buildings have gone up one after another around the course. 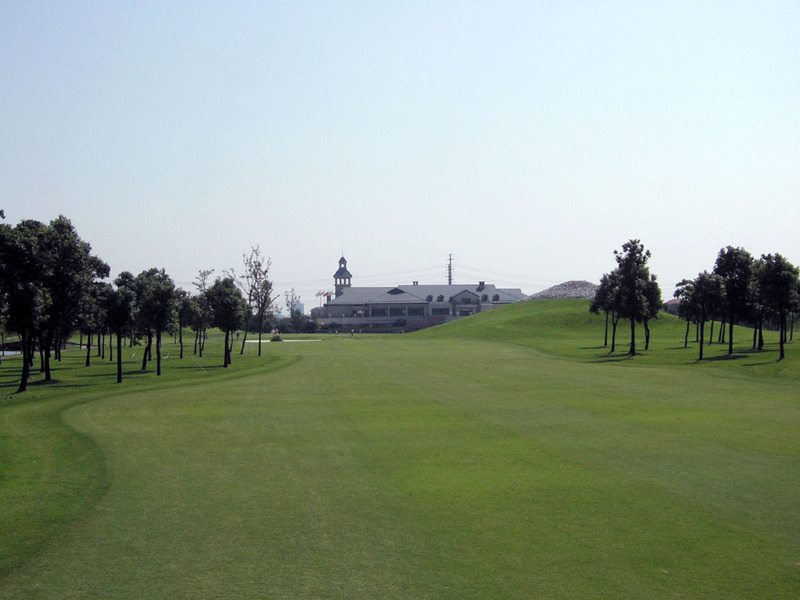 A straight hole which becomes a monster 490 yards long par4 on pro tournament. 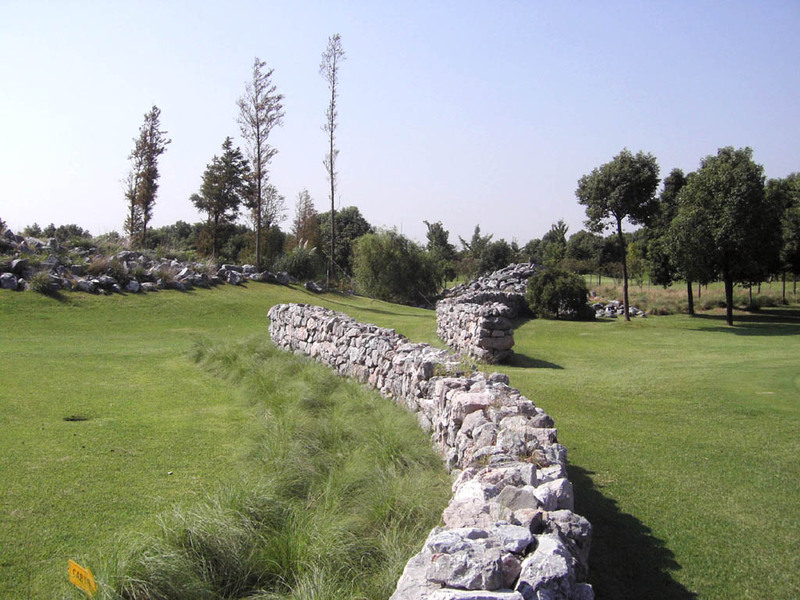 Stone wall 1.5 meters (5 ft.) high called “Great Wall of China” crosses the fairway 90 yards in front of the green. The second shot is over the great wall. 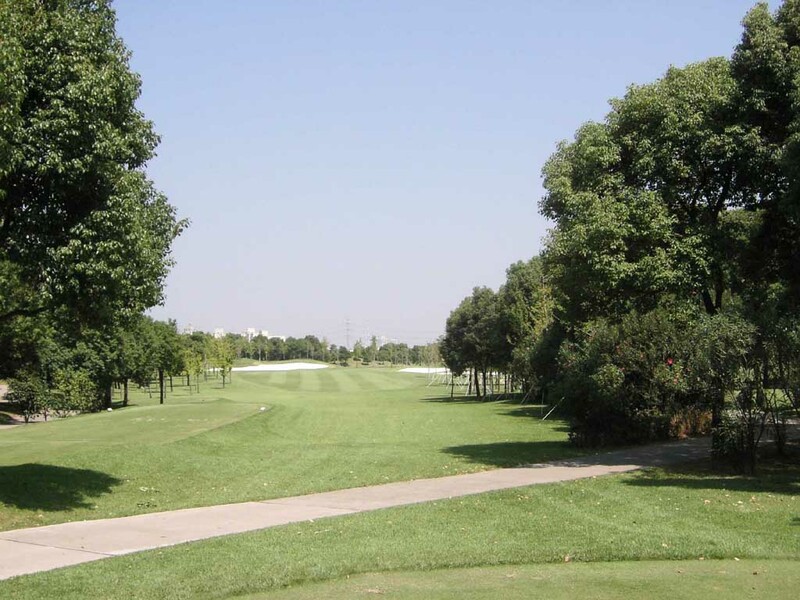 A left dogleg with OB and trees on the left. The bunker on the left side of the fairway is 250 yards off the tee. 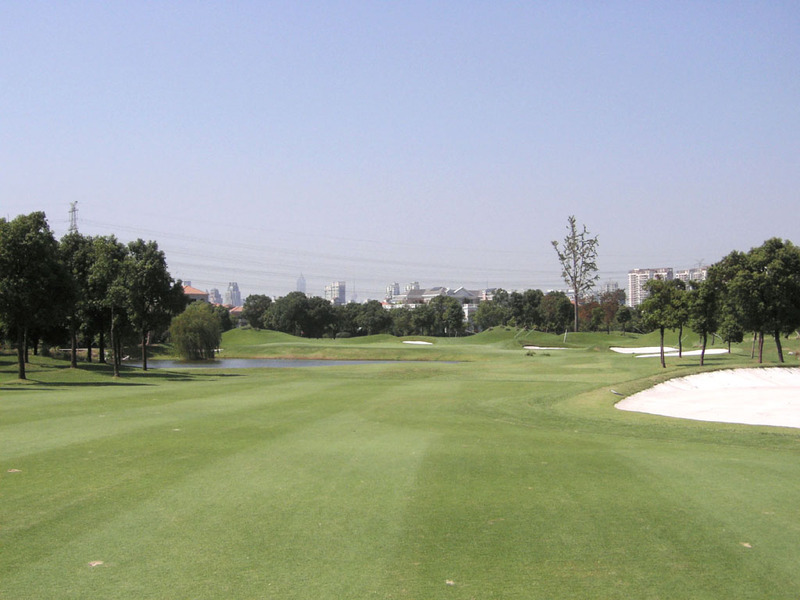 The fairway is tight and the accurate tee shot is needed. The second shot is gentle uphill. 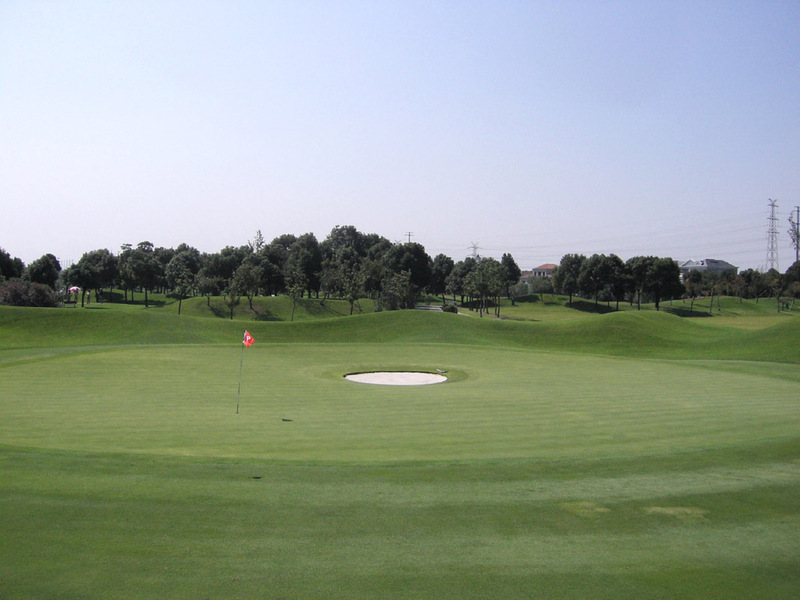 A unique hole with a pot bunker in the center of the green. 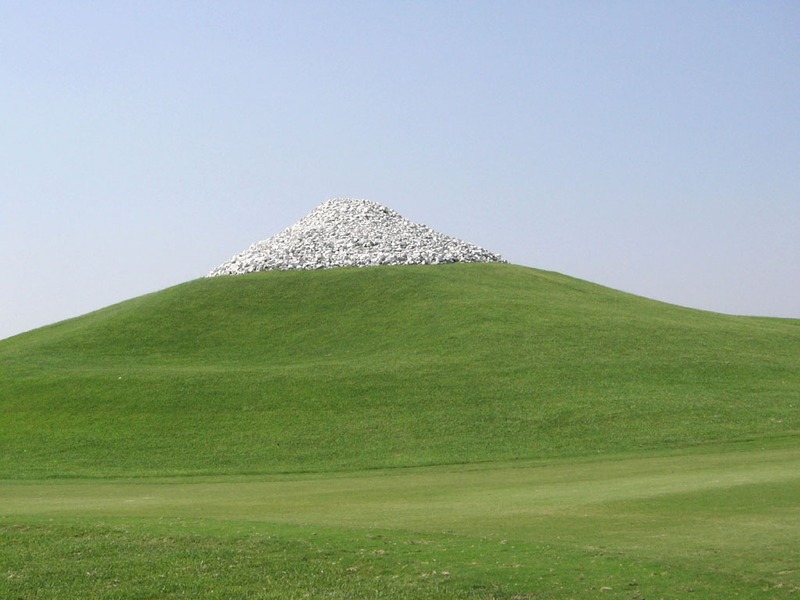 Mounds surround the green, so bad shots might end up on the fringe or even on the green. On the contrary, good shots aiming the dead center of the green unfortunately might end up in the bunker. This par 3 is not well-designed but also a rarity. A straight “signature hole”. Bunkers on both sides of the tight fairway come into play on the tee shot. On the second shot, you see a hill shaped like Mt. Fuji and you hit over a lake to the beautiful on the third shot. 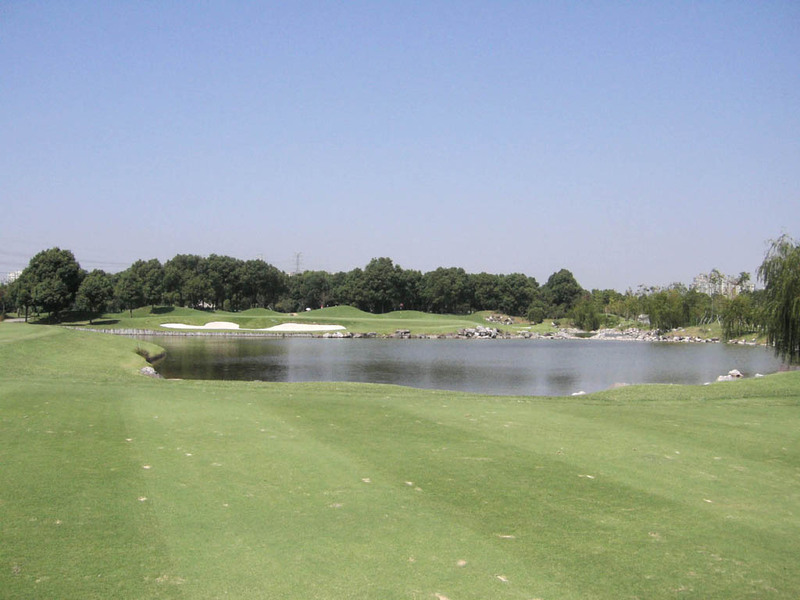 An accurate approach shot is needed as the green touches water not only on the left but also on the front. My friend several years ago sliced the ball and hit the small rocks of Mt. Fuji, which image the snow near the summit. Then, the ball bounced to land just at the top of the mountain. It seems that he conquered Mt. “Golfing” Fuji. A dogleg to the right. 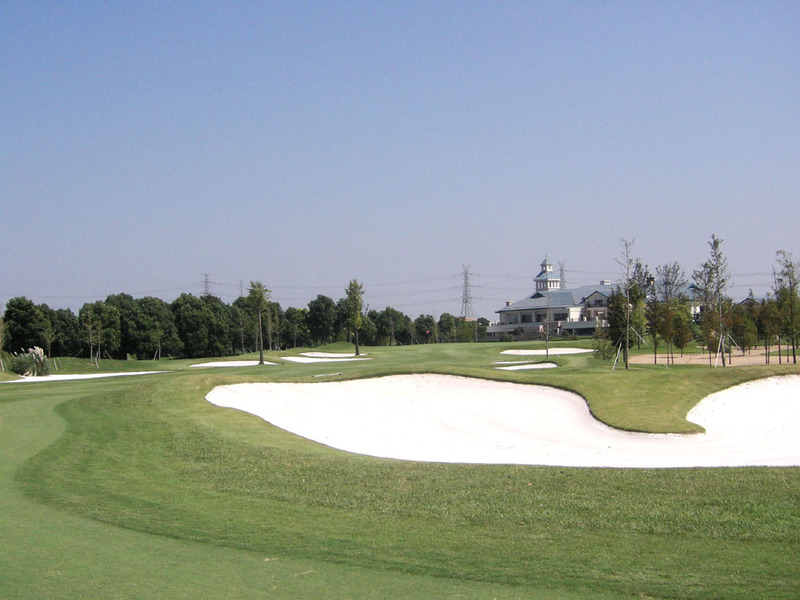 A series of bright white bunkers are positioned along both sides of the fairway. A difficult straight hole. 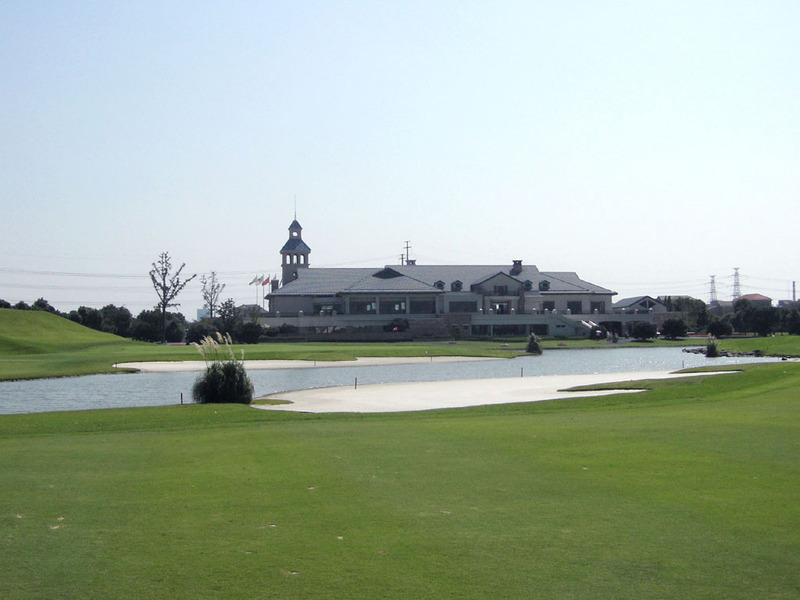 There is a large bunker, 260 yards off the tee, awaiting your bad shots. 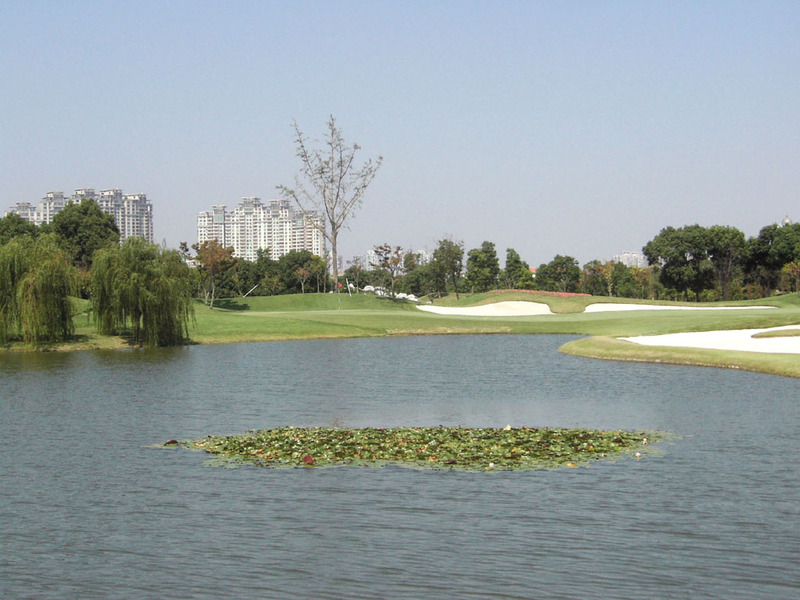 The second shot is demanding as the front edge of the green faces water. A beautiful par 3 over a lake. 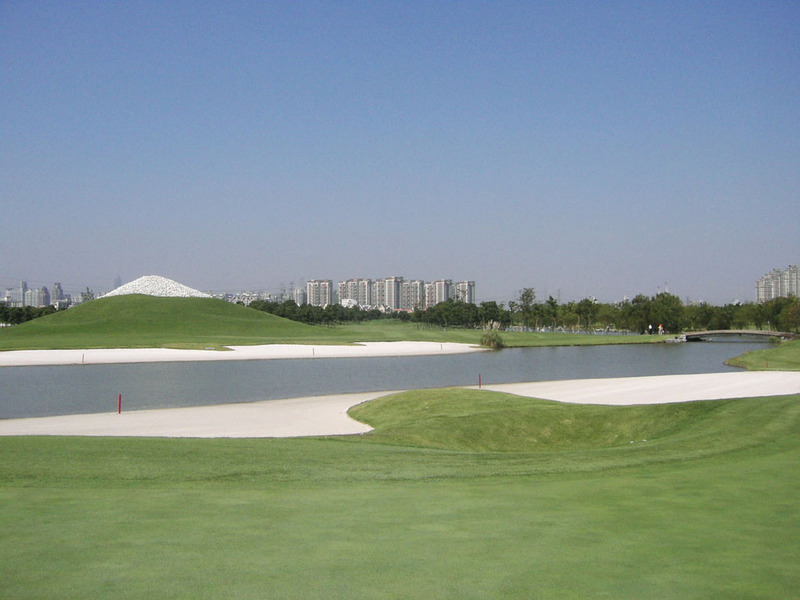 The very wide green is squeezed by water on the front and bunkers at the back, so the right club selection is crucial on this hole. The green is triple tiered with the concaved center. 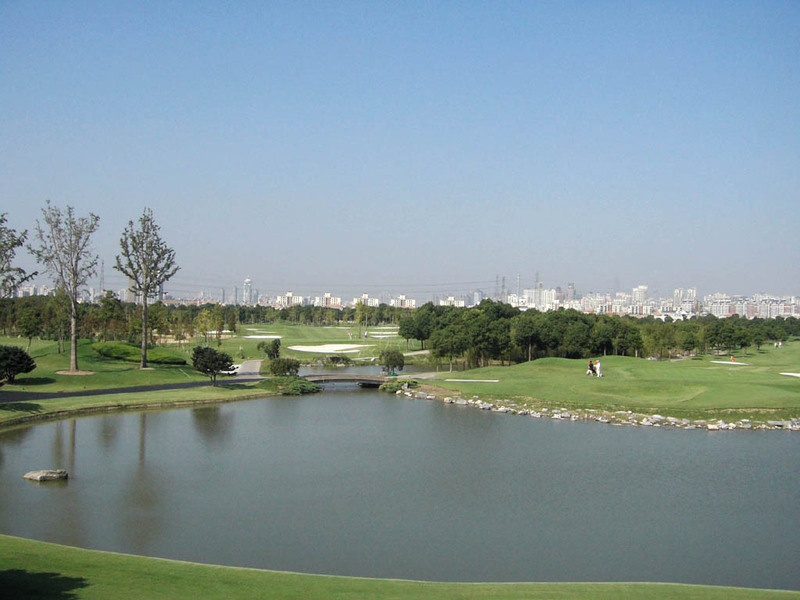 It takes 50 minutes from Central Shanghai. Visitors need to have a member’s introductions on weekdays and to be accompanied by a member on weekends. 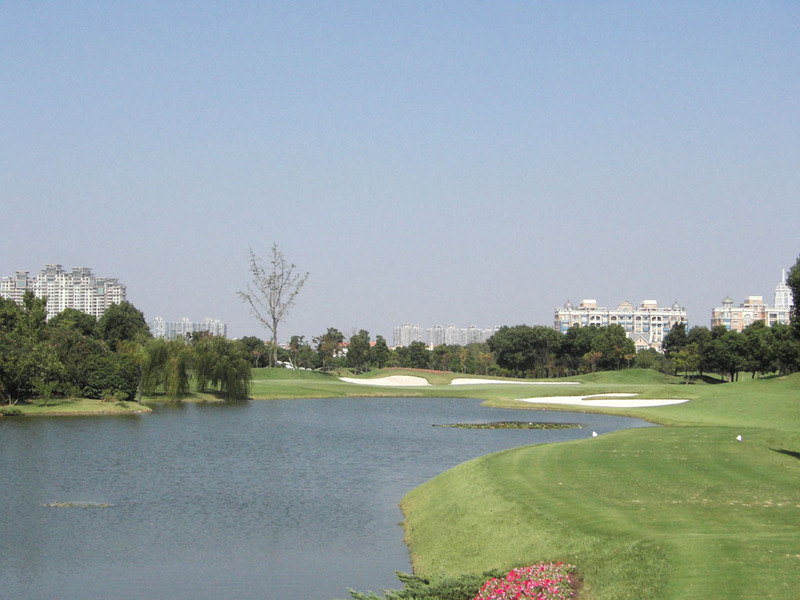 Visitors can also book playing through travel agencies or 5 star hotels it cooperate with. The clubhouse facility is good. There is a Jacuzzi bath and a sauna. 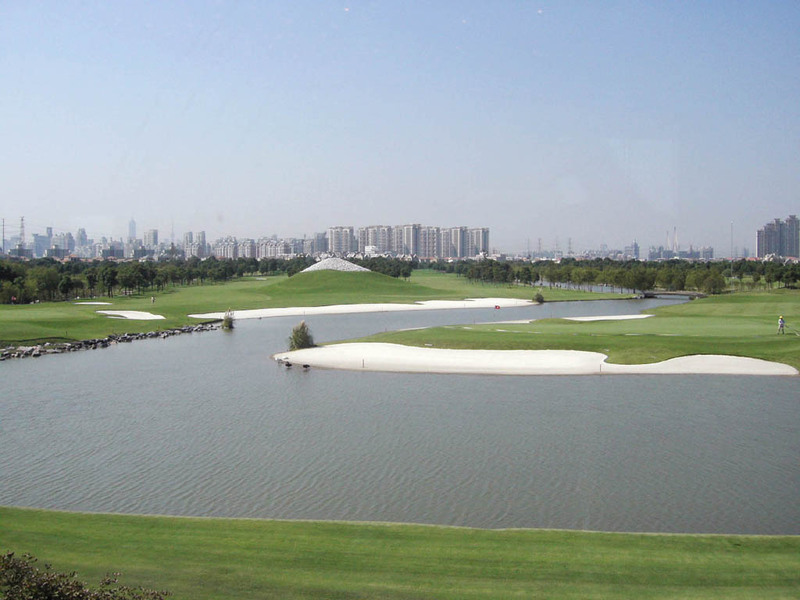 The view overlooking the course from the restaurant is superb. 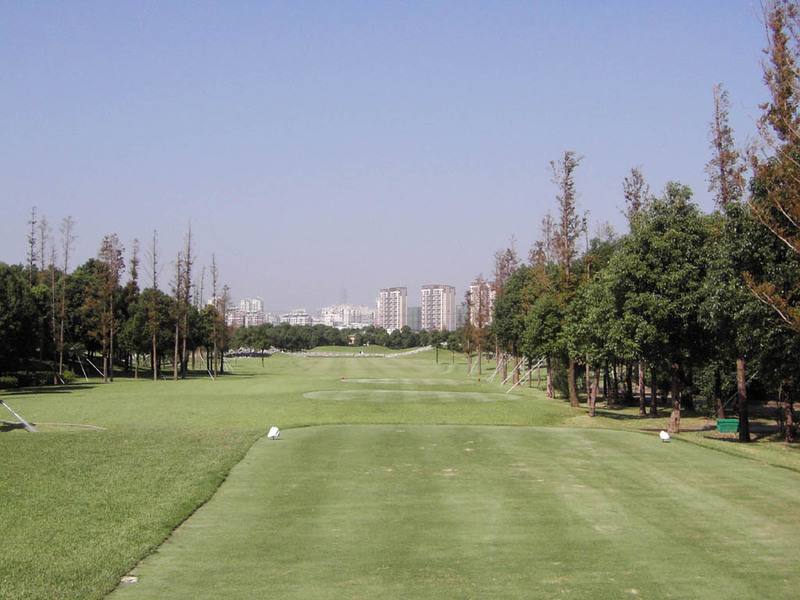 The longest tees of 7340 yards are open only to pros and professional tournaments. 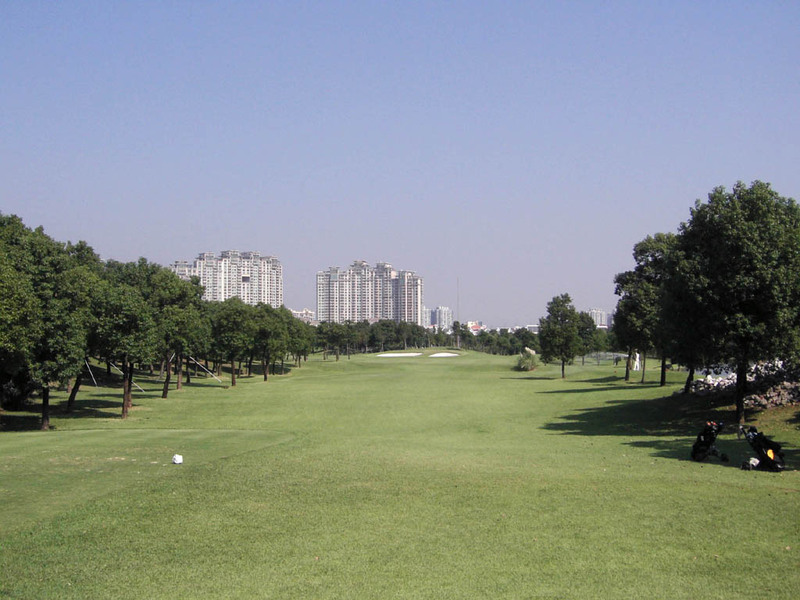 Even advanced players must play from 6830 yard black tees, which is 500 yards shorter. I think it is a shame that single-handicapped members and visitors are not allowed to use the championship tees although the tees are readily available. 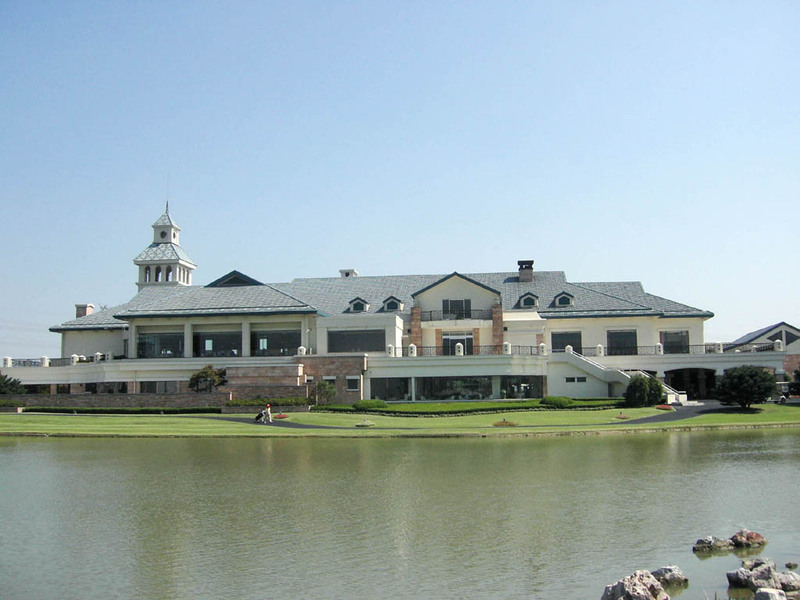 The other Shunsuke Kato designed courses in Japan are Thaiheyo Club – Gotemba Course, West Course, Karuiza Course, Sagami Course, Takahara Course, Ichihara Course & Masuko Course, Setonaikai GC, Hanna GC, and Kyushu GC – Yahata Course. 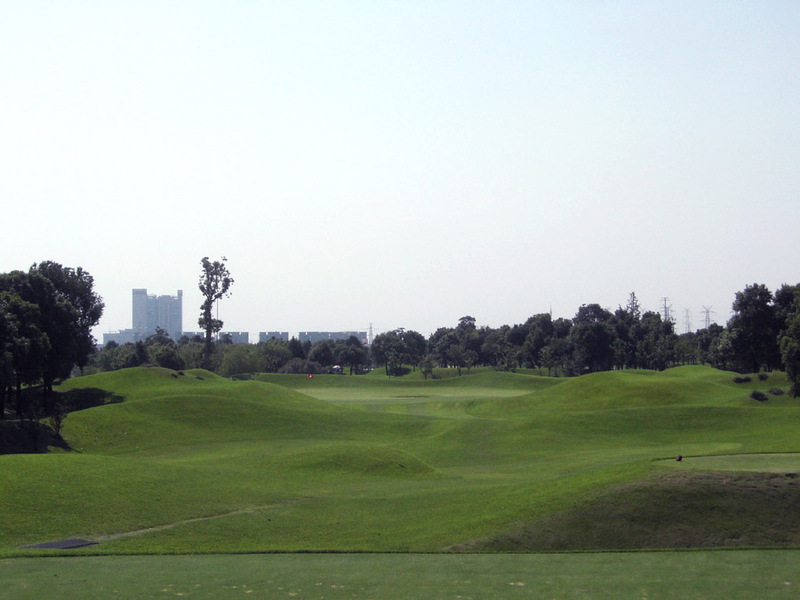 He redesigned Katayamazu GC – Hakusan Course & Kaga Course. His overseas designs are Palm Lakes (棕梠湖) R, Lily (立益) G&CC, Yong Han (永漢) GC in Taiwan and Chung Ju (清州) CC in Korea.